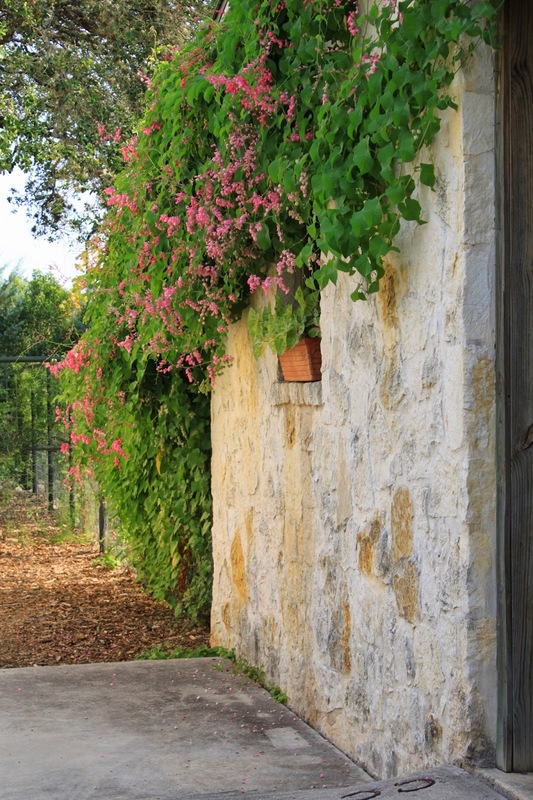 August is a quiet time in the garden here in San Antonio. The blooms of July have faded and the perennials have been trimmed back to await the cooler weather of autumn. It's time for a walk through the garden and I'm joining Helen at The Patient Gardener's Weblog for a tour. We have had a good summer with fewer triple-digit highs than typical and more clouds. Although rain is predicted regularly we haven't had more than a few light showers this month. But generally, things look pretty good for August in South Texas. When an unknown native plant shows up in my garden I'll usually leave it in place for a season to see if it blooms. Sometimes it turns out to be a weed but occasionally the approach works out far better than I could have guessed. I'm joining Gail at Clay and Limestone for Wildflower Wednesday to feature one of those potential weeds that turned out to be a very special native plant. 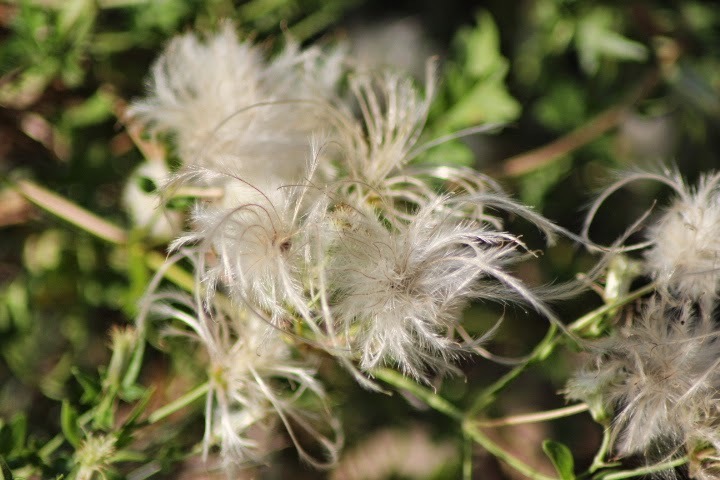 Clematis drummondii is commonly known as Old Man's Beard, Texas Virgin's Bower, or Goats Beard. It's easy to see why "beard" is part of the common name. Last August I introduced you to the beautiful garden of my friend Melody. There have been some changes over the past year so I just have to show you how good it looks now. 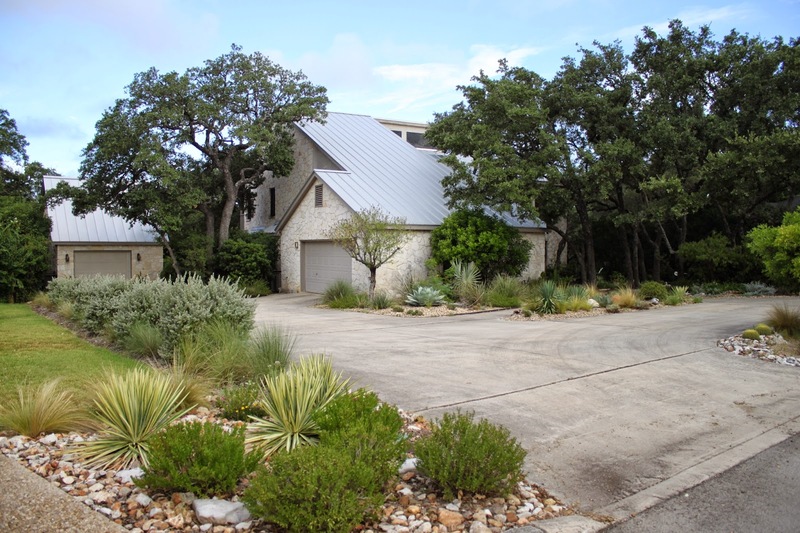 Some of these views are similar to ones I shared last year, as with the coral vine which looks amazing on the barn. 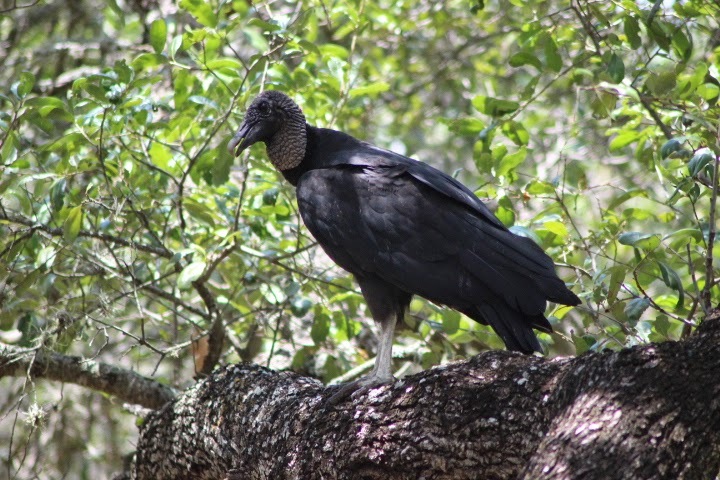 Vultures and Buzzards -- those words don't usually bring nice images to mind but perhaps the images in this post just might change some minds. A pair of American Black Vultures have joined the regular crowd of birds roosting in the trees off our back deck. I'm joining Tina at My Gardener Says... for Wildlife Wednesday on the first Wednesday of each month.